Bill from Sanders, Merkley, and Markey reflects growing public demand to shift away from fossil fuels and usher in era of climate justice. Sens. Bernie Sanders (I-Vt.), Jeff Merkley (D-Ore.), and Edward J. Markey (D-Mass.) on Thursday introduced legislation to build a 100 percent renewable energy economy by 2050—a bill that environmental group 350.org previously termed “the most ambitious piece of climate legislation Congress has ever seen,” although others caution that it is not enough to meet the real challenges of climate change. 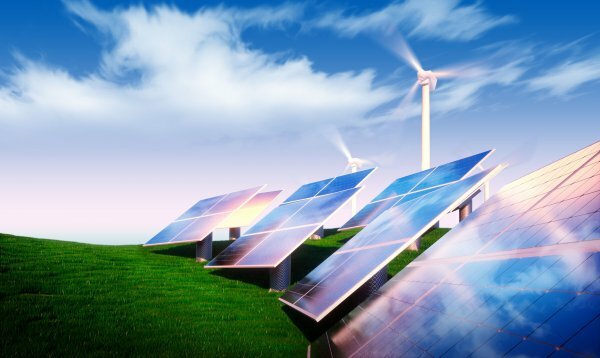 The “100 by 50” Act calls for 50 percent of U.S. electricity to be produced by renewable energy sources like wind or solar by 2030, and 100 percent by 2050. It would require zero carbon emission vehicle standards and prohibit federal approval of oil and gas pipelines, among other measures. “This bill won’t pass Congress immediately—the fossil fuel industry will see to that—but it will change the debate in fundamental ways,” McKibben said. Others were sharply critical of the bill, warning that it would not solve the climate crisis and uses a too-long timeline for a 100 percent withdrawal from fossil fuel use. Ending the even broader ecological crisis will require additional efforts, such as preserving half the Earth, combating overfishing to restore the oceans, slowing population growth, and phasing out planned obsolescence. Shifting to a renewable energy economy is an excellent first step—but will absolutely not save us from climate oblivion. Still, the bill reflects a growing public demand to shift away from fossil fuels and invest in renewable energy. Similar legislation is being considered at the state and local level in California, New York, Massachusetts, and other areas. It also comes just days ahead of the Peoples Climate March on April 29, which is expected to see global demonstrations calling for an end to dirty energy and an ushering in of policies based on climate justice. For Boeve, it also shows the power of grassroots mobilization.
? Theresa May Announces She Wants To Bring Back Fox Hunting 4 Steps To Shut Down ALL Types Of Bullying ?